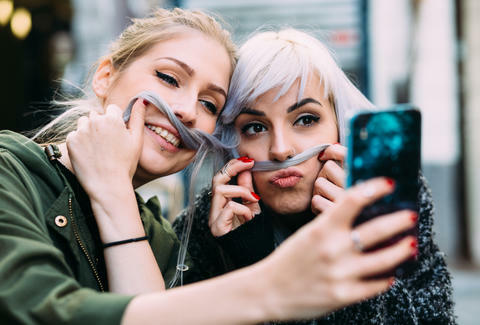 Millennials are highly inscrutable, yet they are likely the most scrutinized generation in history. It's always been hard to pin down what a millennial is, although certain stereotypes tend to bubble to the surface: Millennials spend too much money on avocado toast to buy homes, they swear constantly, and live in their parents basements while paying off calamitous student debt. They generally lack the self-sufficiency and "can do" attitude of their parents, who ironically prattle on about the virtues of bootstraps while collecting social security checks. Of course, these are all lies borne of a bizarre fascination with dragging millennials through the rhetorical dirt. But finally -- finally -- we've been gifted with an actual metric that defines the millennial age range, with some real, empirical evidence instead of the nebulous platitudes advanced by your Uncle Blowhard. According to the Pew Research Center, millennials were born between the years 1981 and 1996. Anyone born afterwards is living in the shadow of the preceding generation at least in name, as Pew is calling this cohort the "post-millennials." As any self-hating millennial is surely aware, the definitive generational experience has been punctuated by war, recession, debt, and maybe a national tragedy or two. Those who are old enough to remember the political consequences of September 11, 2001, the declaration of war in Iraq and Afghanistan, the onset and experience of shuffling for work during the Great Recession, along with copious other human tragedies, are indeed millennial to the core. "As is well documented, many of Millennials’ life choices, future earnings and entrance to adulthood have been shaped by this recession in a way that may not be the case for their younger counterparts. The long-term effects of this “slow start” for Millennials will be a factor in American society for decades." Those born in 1997 and beyond, many of whom are entering adulthood or are teenagers, are all still living in the afterglow of the millennial experience, but they'll likely have it a little easier. That said, it'll be interesting to see what drives them into the seclusion of their parent's basements one day.